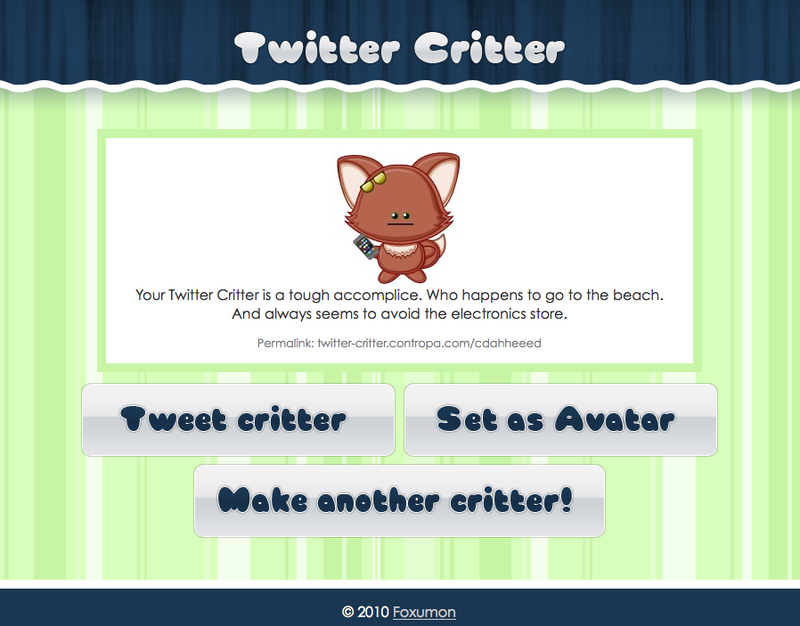 I recently just finished a project called “Twitter Critter” It’s a simple program that works with Twitter to generate an avatar. 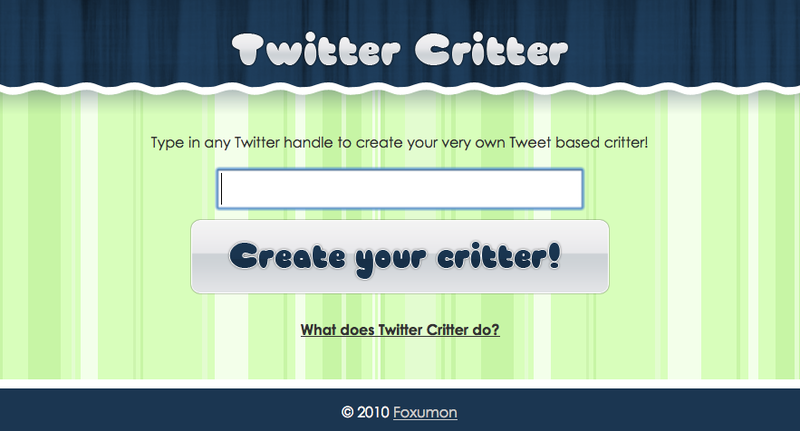 All you have to do is enter in your own username, or anyone’s username, and it will create an avatar based on your Tweets. 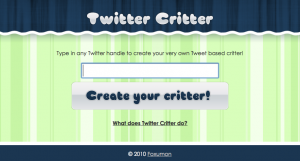 It searches through your latest 200 tweets and uses those words to determine what color, critter, and what accessories your Twitter Critter will have. It also generates a cute bio for that Critter based on those choices. There are thousands of possible combinations, and if you come back after doing some Tweeting your result will change! 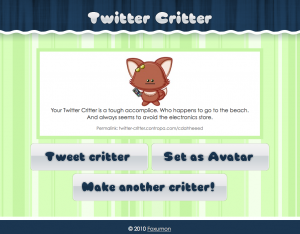 You can also Tweet out a permalink to the specific Twitter Critter your generated, and with one click you can set it as you avatar on Twitter.